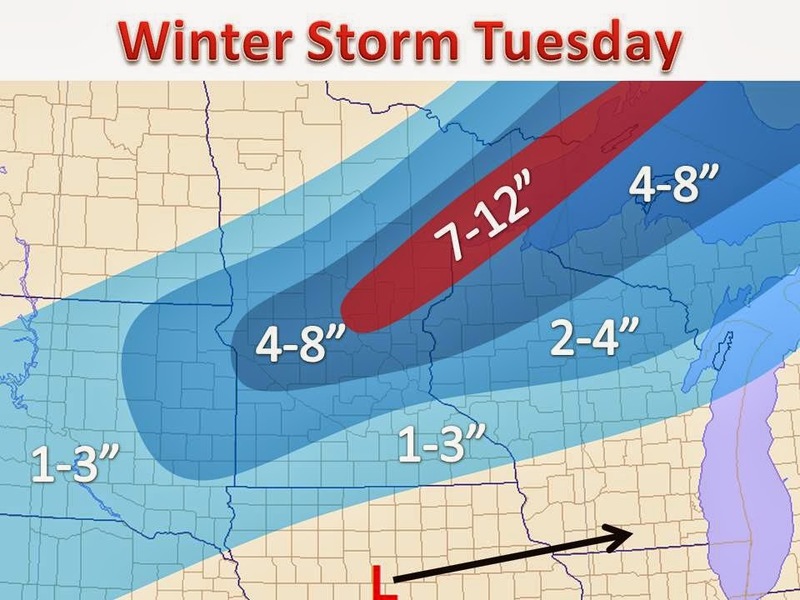 A major March winter storm will slowly push through the Midwest on Tuesday. Snow will begin to overspread parts of the Upper Mississippi River Valley later Monday night and last through Tuesday. A foot of snow is not out of the question for areas around Duluth that usually see leeside downsloping (see red area). Otherwise, a wide area (for March) of accumulating snow from the Dakotas to the UP of Michigan. Areas further south will see mainly rain, with some mixing on the back side as cold air is ushered in. 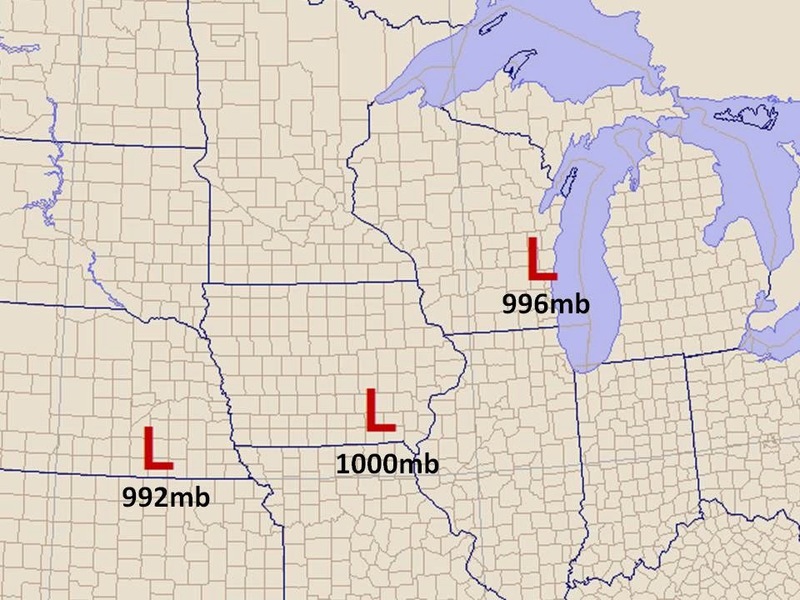 This system will emerge out of the Rockies and deepen to a healthy 992mb. Then face upper atmospheric dynamic problems and quickly weaken back to a minimal 1000mb area of low pressure. However, the area of precipitation will continue in Minnesota, but will weaken with the storm. The real question comes in to yet another strengthening in Wisconsin, which will have a major impact on how much snow will fall in northern Wisconsin. This is not a standard winter storm and is ever-changing in the models. As always, the latest snow model can be found HERE!